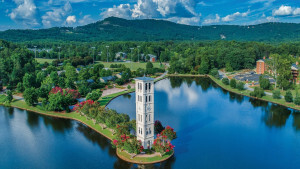 The Furman Board of Trustees approved promotions and/or tenure for 13 faculty members, and granted emeritus status to 11 professors who are retiring this summer. 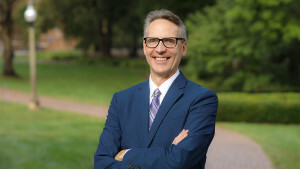 During its spring meeting Saturday, the Furman University Board of Trustees approved promotions and/or tenure for 13 faculty members; four new members will join the board July 1. The trustees also granted emeritus status to 11 professors who are retiring this summer and recognized the contributions of eight board members whose terms will expire June 30. The new trustees who will join the board this summer are David L. Hauser ’73 of Charlotte, North Carolina, retired chairman and CEO of FairPoint Communications; Mary Seawell Metz ’58 of Alameda, California, retired president of Mills College in Oakland; Brenda J. Thames of Greenville, vice president of academic and faculty affairs at Greenville Health System; and Tony R. Thene of Seneca, chief executive officer, president and director of Carpenter Technology Corp.
Hauser has served a previous term on the board. Faculty members promoted to the rank of full professor were Bryan Bibb (religion), Jeremy Cass (modern languages and literatures), Margaret R. Caterisano (theatre arts), Virginia W. Gerde (business and accounting), Christopher D. Hutton (music), Cynthia P. King (communication studies) and Lisa I. Knight (religion). 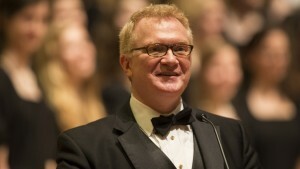 Gerde was also granted tenure, as was Gregg Hecimovich (English), a new member of the faculty. Those receiving tenure and promoted to the rank of associate professor were David C. Fink (religion), Grant W. Knox (music), John E. Quinn (biology), Meghan M. Slining (health sciences) and Michelle Speitz (English). The board granted emeritus status to 11 retiring professors—Donald P. Aiesi (politics and international affairs), J. Thomas Allen, Jr. (computer science), John D. Batson (psychology), David H. Bost (English and modern languages and literatures), Robert D. Fray (mathematics), Anne Leen (classics), Jane M. Love (English), Ruby N. Morgan (music), David R. Roe (economics), Bruce W. Schoonmaker (music) and Nancy L. Shell (mathematics). All promotions, tenure and emeritus status become effective Aug. 1. The board recognized eight trustees whose terms will expire June 30. They are Ann P. Bryan of Greenville; W. Randy Eaddy ’76 of Winston-Salem, North Carolina; James C. Mabry IV of Charleston; Leighan Roberts Rinker of Atlantis, Florida; Michael C. Riordan of Greenville (outgoing chair); Daniel S. Sanders of Greenville; The Honorable William Byrd Traxler, Jr. of Greenville; and Richard N. Wrenn, Jr. ’74 of Asheville, North Carolina. Alexander Taylor II ’75 of Charleston will become chair of the Board of Trustees July 1. Last updated May 15, 2018 .